October 26, 2013. Posted in Kolkata. Kolkata’s streets are paved with bhar. Fragments of the handmade clay cups crunch underfoot on sidewalks, collect monsoon rain in blocked gutters and brighten dull gray train tracks with their dusky orange glow. 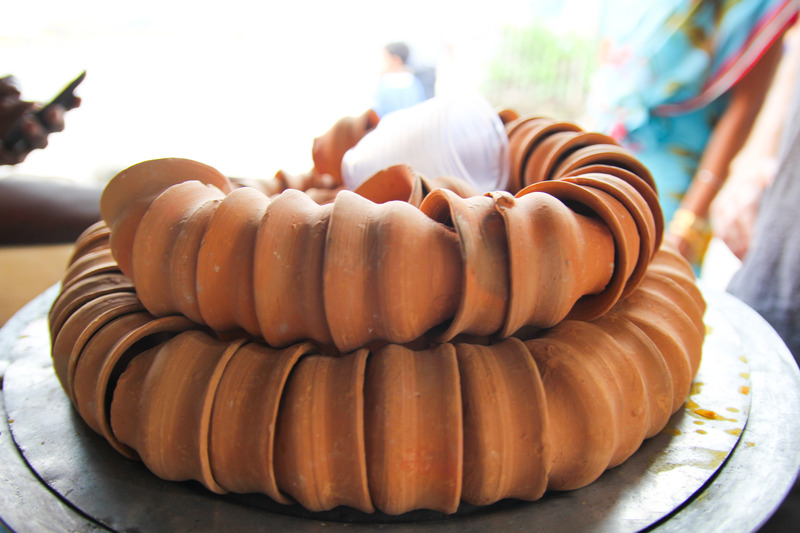 Bengal’s dairy delicacies, lassi and mishti doi, are stored and served in bhar, but the earthenware shards littering the roads are most often remnants of piping hot cups of chai. Years ago, bhar was the standard vessel for chai around the country. After slurping down the last sips of their brew, customers would ceremoniously smash their bhar against the ground, returning the clay to the earth from which it was made. It was the perfect model of sustainable consumption. But with the introduction of plastic, chai wallahs around the country abandoned bhar in favor of cups made of the cheaper and supposedly more hygienic material. Former Railways Minister Lalu Prasad attempted to revive the tradition in 2004 by mandating that chai be served in bhar in railway stations and on trains, but his effort largely failed. Today, the chai wallahs who walk the aisles of India’s trains sounding their trademark nasal call of “Chai! Garam chai!” carry plastic. Fortunately most Kolkata chai wallahs have stuck to their roots, offering bhar alongside plastic and glass cups. 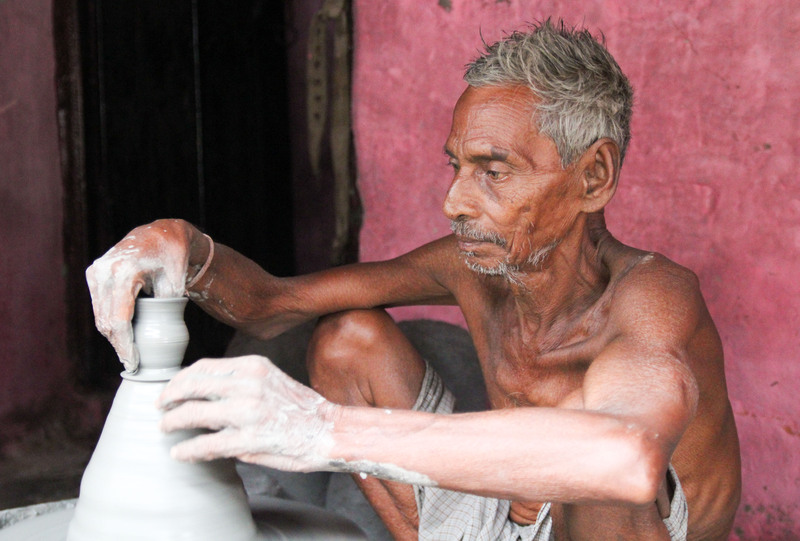 By keeping this eco-friendly practice alive, these chai wallahs have sustained another sector of small business owners – the bhar wallahs, potters who craft the cups out of clay from the Hooghly River. On the banks of the Hooghly sits Kalighat, a neighborhood built around the majestic Kali temple where worshippers have come to beg blessings of the black goddess for 1600 years. Walking down the main road from the temple, one passes vendors selling puja offerings, beggars crouching outside Mother Teresa’s Home for the Destitute and Dying, and prostitutes brazenly staring out from doorframes, their lips painted red with lipstick and teeth stained red with paan. Down one of the colorful alleys peeling off from the crowded street, thick smoke rises, filling the air with the scent of burning hay and baked mud. This is where the bhar wallahs live and work, crafting simple chai cups as well as intricate murthis, statues of Hindu gods. Ramnath Pal, nearly 70 years old with piercing green eyes and a sinewy body, has been working with clay “janam se” – since birth. His home, a single room in a row of connected brick shanties, faces an open-air workshop where he works with his son Dilip, brother Hari and nephew Mangal amid giant blocks of slippery gray mud. 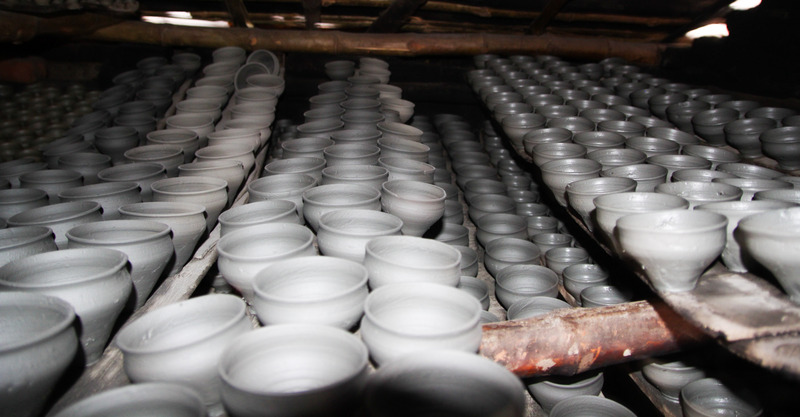 Using two modest potter’s wheels, they churn out hundreds of vessels of varying shapes and sizes – from bhar to ashtrays to urns – and fire them in the kiln, a mound of mud constructed over a pit of burning wood and hay. The Pal family also makes murthis. 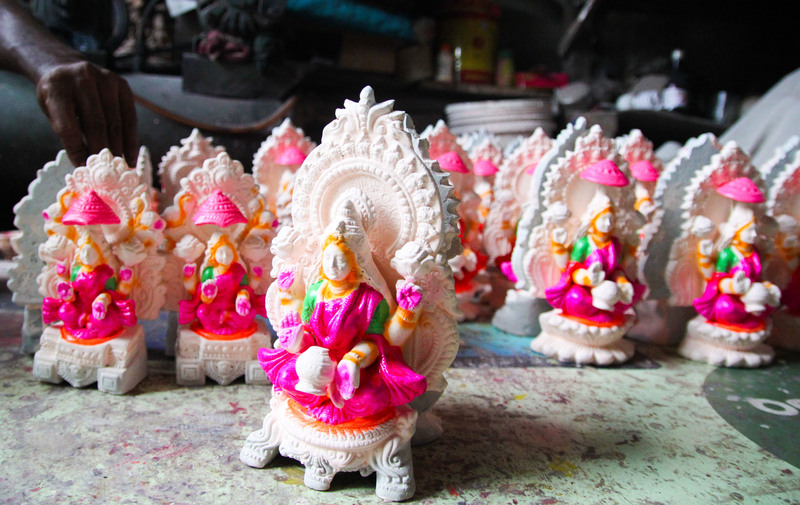 In the weeks leading up to Hindu holidays, they sculpt 50 of the detailed idols every day. With Kolkata’s largest festival, Durga Puja, over, Ma Durga is nowhere to be found on their shelves, but miniature neon murthis of Ganesh, Kali, Lakshmi and Saraswati await their time to shine in shrines and temples. 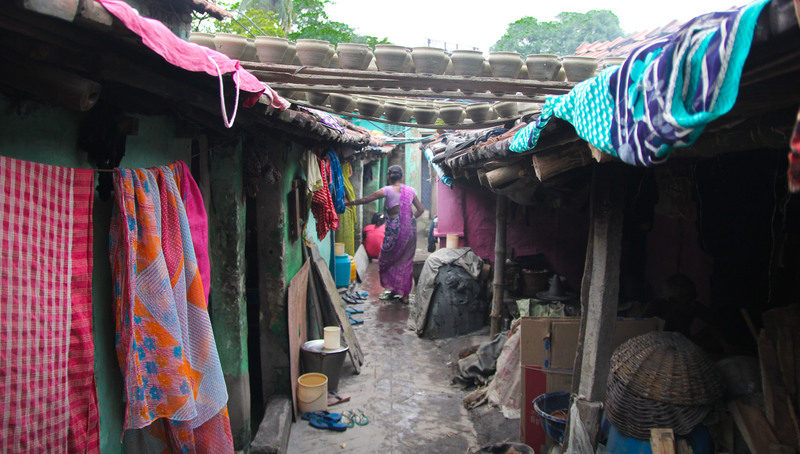 Planks of wood packed with drying bhar balance on rooftops, creating a canopy across the narrow alley separating the Pal’s home from their workshop. In the workshop, rows of the cups perch precariously wherever space is to be found. After being fired to their familiar orange hue, the bhar will be purchased by wholesalers then sold to chai wallahs who enjoy serving brew with a hint of earth. Across the city, customers will continue the tradition of drinking chai from tiny pots made in the back alleys of Kalighat. 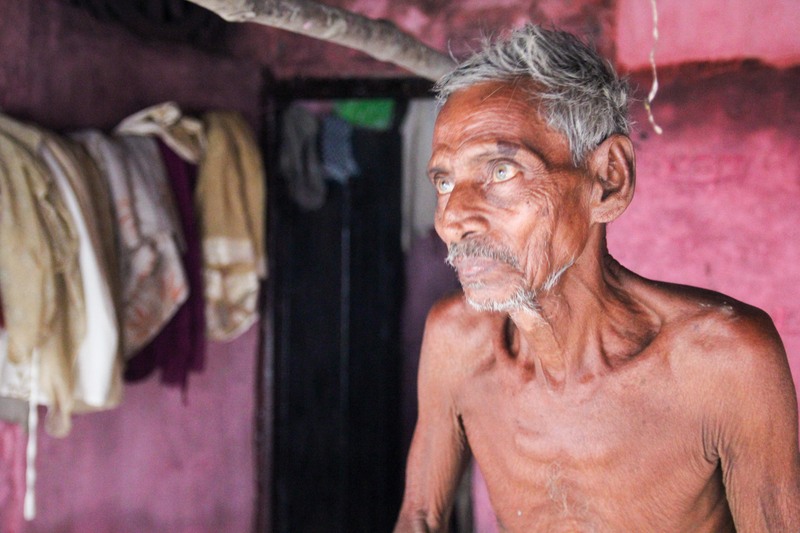 But Ramnath’s family might not be participating in the supply chain much longer. His grandson Bablu works in an office, spending his days hunched over a computer instead of hunched over the potter’s wheel. For Ramnath, this is something to be proud of. As for what will happen to the family business? “We can’t predict the future, but this is a hard job. We work so our children can do better,” said Ramnath. 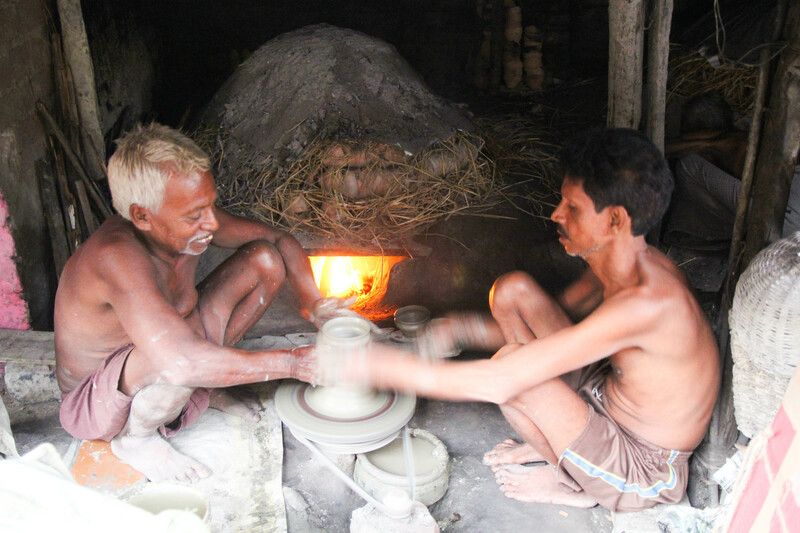 He took a sip of chai from one of his handmade bhar, bent over the potter’s wheel, and began crafting the next cup. A fascinating description of a universal story playing out in a unique setting. I just heard your interview on the radio. Congratulations!!!!! I’m so proud of the two of you, keep up the good work, I look forward to reading your project with great anticipation. I wish I was in India with your Mom. does anyone know where I can purchase these. I need about 6,000 pc. its very good information.. interesting topic. Great article. We will be in Kolkata on 13th April 2016 and reason for looking at this site was to see where we have to go to see these being made .Thanks , although a little late ! Fantastic read, and gorgeous photography! Absolutely love this!